We have continued funding to help promote and present Vermont wine. Stay up-to-date on upcoming wine tastings, workshops, and dinners. Planning has begun for the 5th annual Open Farm Week, August 9th-15th. Save the date or register your farm event! More info on DigInVT.com for participating farms or email us. 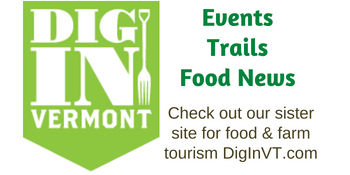 Sign up for the DigInVT "Fresh Feed" Newsletter, and stay up to date on food happenings in VT.
Support the Network Today and Everyone Benefits!